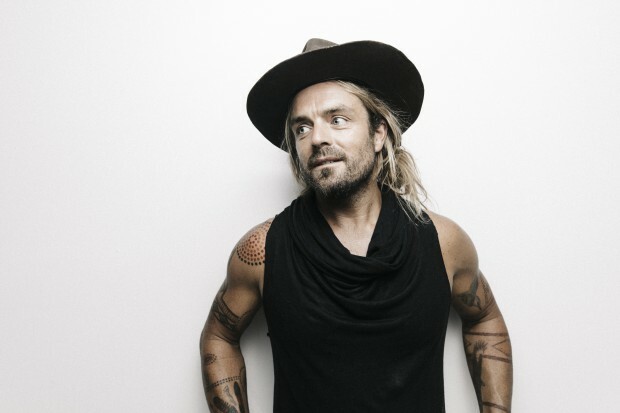 National treasure, Xavier Rudd is bringing his Storm Boy World Tour home to Geelong! Following a successful run of North American and Canadian shows, Rudd is currently in the midst of the Australian leg of the tour with 14 shows in total across Canberra, Wollongong, Sydney, Newcastle, Gold Coast, Brisbane, Hobart, Adelaide, Melbourne, Geelong, Fremantle, and Margaret River. Playing at Deakin University’s, Costa Hall, on August 25, the Torquay bred legend is looking forward to bringing his music back to where it all began. “It’s always good to get home. These days I don’t even play many shows in Australia because a lot of what I do is overseas. So it’s always nice to play back in OZ, let alone back in the town where I went to school. So it’s exciting,” Rudd says. It’s not the first time Rudd has graced the Costa Hall stage. In 2015, he brought the Flags Tour to Geelong with then band, The United Nations. This time things will be a little different. Storm Boy is the ninth studio album for Rudd, following on from ARIA #2 and Gold Certified album Spirit Bird, along with an even more impressive back catalogue. So far it has received positive reception from critics and fans across the globe and reached number 1 in the ARIA charts. With singles Walk Away, Times Like These and Honeymoon Bay, the album is set to be cemented in Australia arts and music history as a timeless and important album, touching on powerful political and personal themes. “People are really reacting well to the record, the new band and the whole thing,” Rudd says. While the Storm Boy tour is bigger in sound, production and energy than any other tour he has done in the past, Rudd will also be “stripping it back” and “celebrating the simplicity of us as humans on the Earth, and appreciating our environment and our lives”. There are a number of must-see moments throughout the show for fans to look forward to including a performance of fan favourite, ‘True Love’, from the new record which Xavier played at his wedding and took him nearly 10 years to write. Following the Australian stint, Rudd will be taking the tour to the UK and Europe until the end of the year with plans to continue onto Asia and return back to Australia for festivals over summer including recently announced A Day On The Green. Watch this space for more announcements! When & Where: Costa Hall, Geelong – August 25 & The Forum, Melbourne – August 27. Tickets can be purchased here.